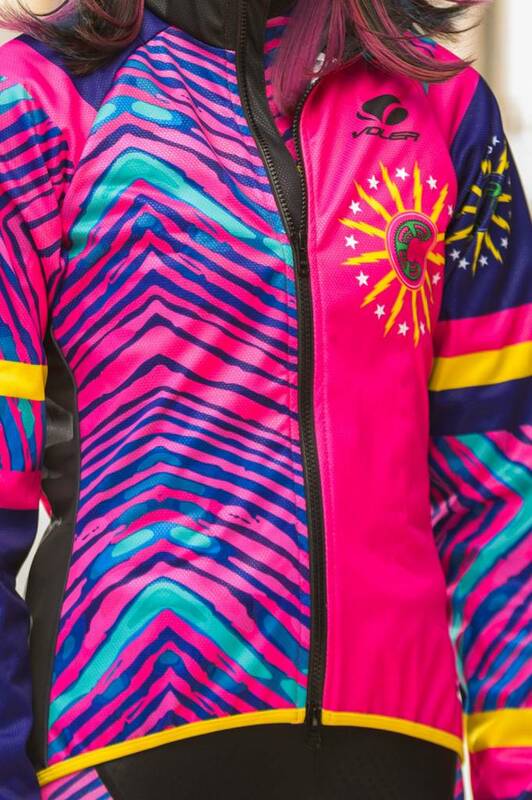 The final piece for our CCC kit, or a piece you could just wear on it's own. 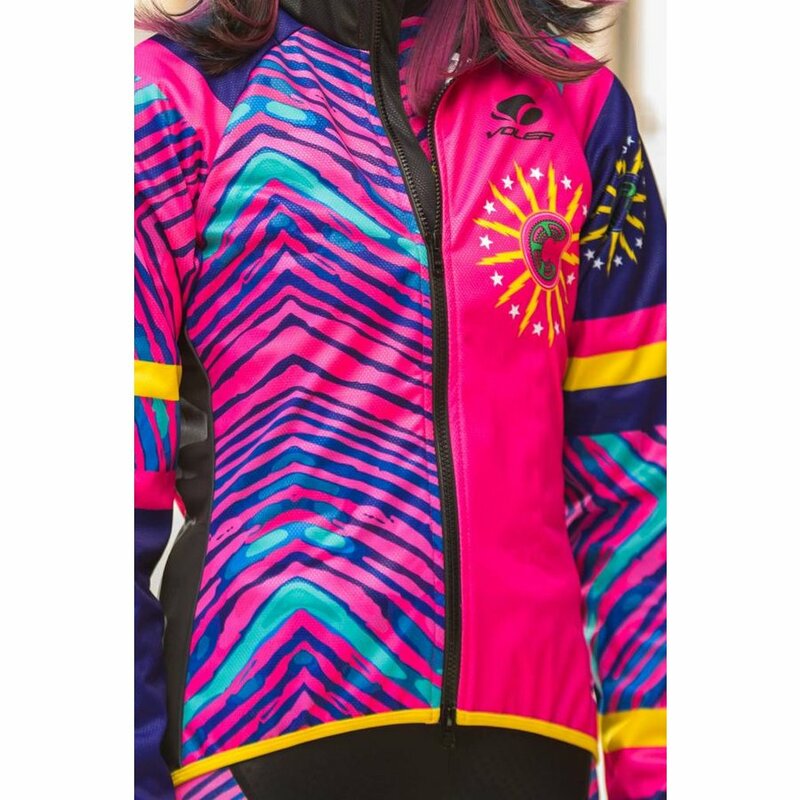 It's a very nice jacket, and it will keep you warm on or off the bike. 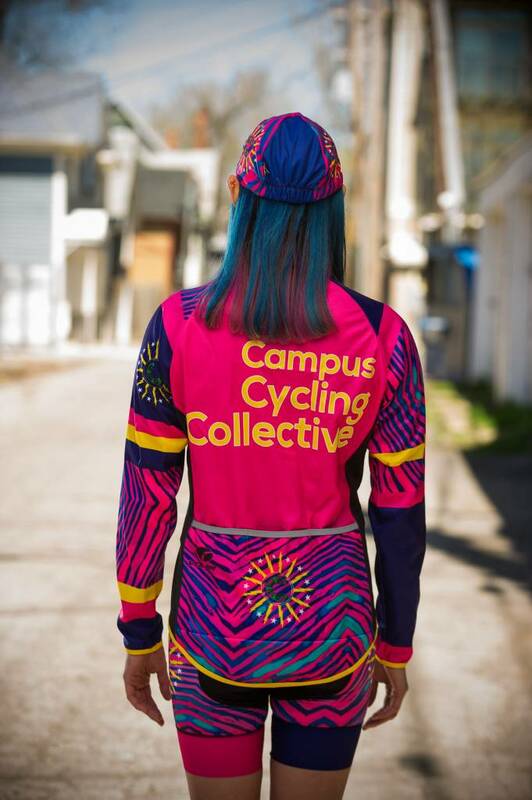 The CCC thermal jacket is designed to keep cyclists warm and dry. It is breathable and has a great fit. It has a cozy fleece interior, and a slight stretch to the fabric. 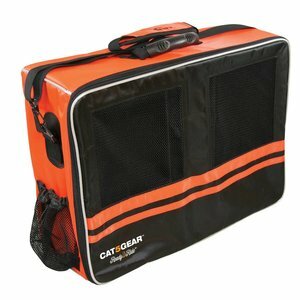 It has a longer tail to block and road spray, and a high collar to keep the wind out and protect you from the elements. 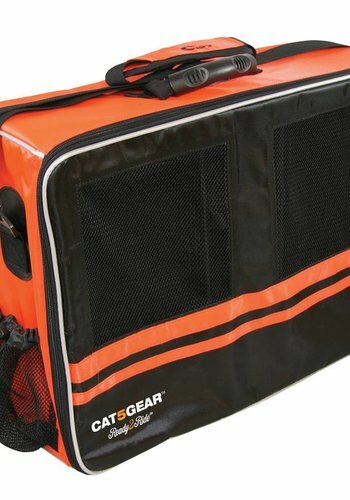 It will keep your core warm so you can ride in comfort. "Denali LT tri-laminate thermal fabric combines a medium stretch printable surface fabric, a breathable, wind and water resistant internal membrane, and a lightweight, soft fleece backing fabric to create the ultimate in light thermal protection. 15% lighter than the original Denali." "Yukon fleece is a matte-finished thermal fabric made of 86% Nylon and 14% Spandex. Features a fleeced backing to help retain warmth and to increase comfort. Quick-drying. 4-way stretch for improved fit." 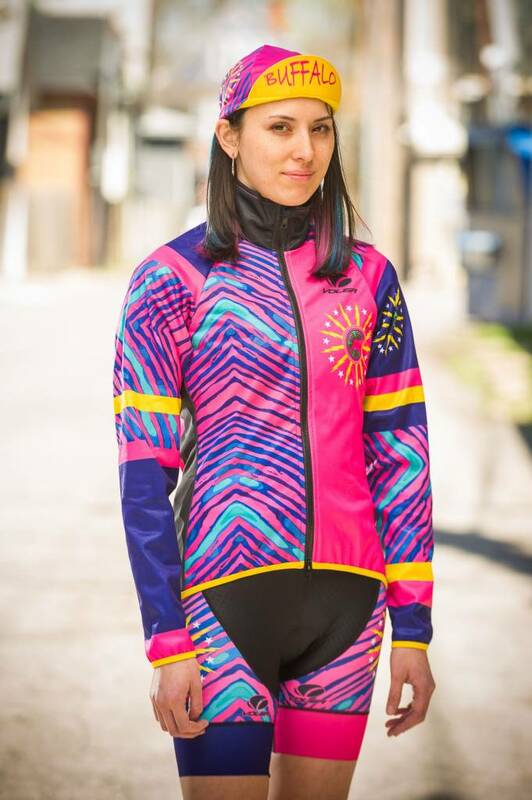 Get ready to be happy in bike gear. 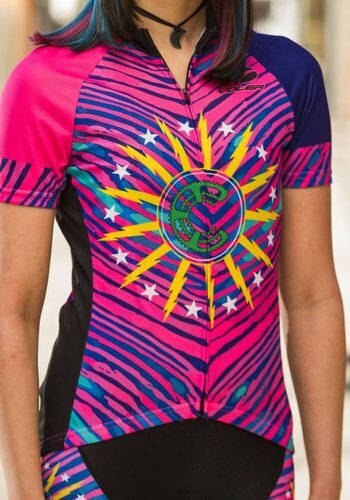 The women's specific top piece of our Limited Edition bike kit is made of great materials, and has a great design.